Personality Assessments have been available for about 60 years. Some of them have obtained a great deal of validation research. However, it is important to understand that they are not actually job behaviour assessments and such validation is not relevant to job performance. In most cases, the validation simply means that the assessment favorably compares with other means of assessing personality. Many people are fooled into thinking that this large amount of research indicates that they are valid and useful tools for job assessment. In fact, many of those assessments specifically state that the instrument does not predict job performance. It makes no sense to use an assessment for job selection that was never designed for the workplace and has no ability to predict job performance. Some people say that they can effectively use personality assessments for employee development. However, this also makes no sense. The main point of employee development is to improve performance and if an assessment does not measure the factors that relate to job performance, how can it significantly help to develop employees? This entry was posted in Uncategorized and tagged Harrison Assessments, people, recruitment, success on August 5, 2009 by Susan Rochester. Many organisations assess eligibility factors by setting minimum requirements. However, few organisations systematically formulate eligibility factors in order to score each applicant’s level of eligibility. It is not enough to ascertain that the applicant meets the minimum requirements. All that does is eliminate the people who don’t meet the requirements. It does nothing to assess the remaining people who do meet the requirements. Therefore, it is essential to quantify each candidate’s level of eligibility. This is the only way in which you can effectively compare candidates to each other and to integrate the eligibility score with the behavioural score. First, you need to determine what the eligibility factors are. For example, you may require previous experience in the same job, previous experience doing similar tasks that the job requires, certain educational levels, or skills such as typing speed or the ability to use software packages. The HA Talent Management System enables you to select from a comprehensive list factors and then weight them according to how important they are. By using gradient scoring, you are able to quantify the person’s experience and obtain a score for each factor. By weighting the factors in relationship to each other, you are able to obtain an overall eligibility score. This entry was posted in Uncategorized and tagged Harrison Assessments, recruitment on June 16, 2009 by Susan Rochester. The following information is an excerpt from the whitepaper by Dan Harrison, PhD, of Harrison Assessments International ©2008 Harrison Assessments International. For a copy of the full report, please email us. Assessing people for jobs is the most important task of any organisation. The quality of assessment ultimately determines the performance of new hires as well as the ability of the organisation to effectively develop employees. It affects every important aspect of the organisation’s success including management effectiveness, sales volume, customer retention and productivity. Assessment is not merely one of the functions of the Human Resource Department. It is the essential foundation for effective talent acquisition and talent management. High quality assessment used at the point of hire enables you to have the greatest impact on performance and productivity in your organisation. High quality assessment of applicants during the recruitment process results in less time and money spent on training and developing employees. This enables management to focus on important strategic issues. Good assessment reduces training costs, minimises losses due to poor decisions, increases employee retention and can even provide a foundation for better teamwork. Effective assessment also provides huge benefits for employee development. Assessing existing employees makes employee development much more efficient and effective. Good assessment can enable employees to clearly understand their performance in relationship to the job requirements. This can be a great boost to employee motivation. It can also provide managers with a means of pinpointing the development areas that will provide the greatest impact on performance. Harrison Assessments™ Talent Assessment System even goes a step further by providing managers and coaches with effective tools for encouraging and enlisting top performance as well as providing guidelines for developing specific job success behaviours. In addition, reports also help employees to better understand how to apply their strengths for their career development. These are key areas that promote talent retention and motivation. This entry was posted in Uncategorized and tagged Harrison Assessments, recruitment, strategy, talent on June 2, 2009 by Susan Rochester. How will recent federal government changes affect you? There have been a number of recent changes at the federal government level in Australia that affect employers. We recommend you take the time to find out more about them. New unfair dismissal laws (from 1 July) are likely to have the most immediate impact on our readers. More information on fair dismissal can be found in the fact sheet provided on our website for your convenience. 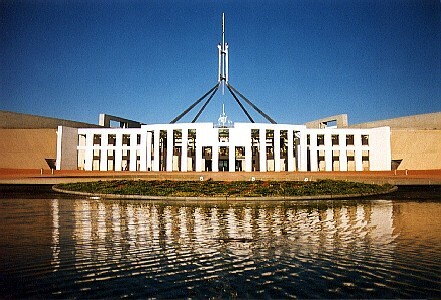 The Minister for Employment and Workplace Relations, Julia Gillard, announced the launch of the Fresh Ideas for Work and Family program on 1 March 2009. This national initiative provides grants of $5000 to $15000 to successful small businesses to implement practices that help employees balance their work and family obligations and improve employee retention and productivity. Information on how to use the grant is available from experts in workplace flexibility, Flexibility at Work. Small businesses in Australia with fewer than 15 employees. Sole traders and incorporated sole traders that employ between 1 and 14 employees. Further information on family friendly work arrangements, work-life balance and the program is available at http://www.deewr.gov.au/WorkplaceRelations/FreshIdeas/Pages/default.aspx or call the Workplace Infoline from 8am to 7pm Monday to Friday on 1300 363 264 or email FIWF@deewr.gov.au. It’s important that you’re aware of these issues in case you need to take action. We can then point you in the right direction to get assistance to make any necessary changes. This entry was posted in Uncategorized and tagged business, management, people, practice, regulation, strategy on May 26, 2009 by Susan Rochester. While millions of words have been written about how to get more from your staff, there are really just three things you need to remember. Why is their job important? What are your core values, vision, mission and goals? How have you communicated these to your team? Your strategic plan describes the game. Your organisational chart, policies, procedures, job descriptions and employment contracts are the rules of the game. You also need to let people know how they fit into the wider picture of the work that is done in your organisation. Closer examination of productivity problems often reveal they result from ‘square pegs in round holes’. Recently, we have been helping managers reassess the fit of key people within their teams and take steps to allow their individual strengths to shine. Sometimes, this may result in more training or restructuring, or it may simply lead to the shifting of some tasks between people. With right people in the right positions, you can be confident you have built a winning team. Tip: It’s easier to move forward one step at a time… Start by identifying the strengths you already have within your staff. One tool to help you do this is Harrison Assessments. Action: Just make sure you are taking steps and moving forward! This entry was posted in Uncategorized and tagged business, goals, Harrison Assessments, people, strategy, team, values, vision on May 20, 2009 by Susan Rochester. Are you confident you can deliver on your Client Value Proposition? When you make a promise to a client, are you confident your staff can – and will – keep it? 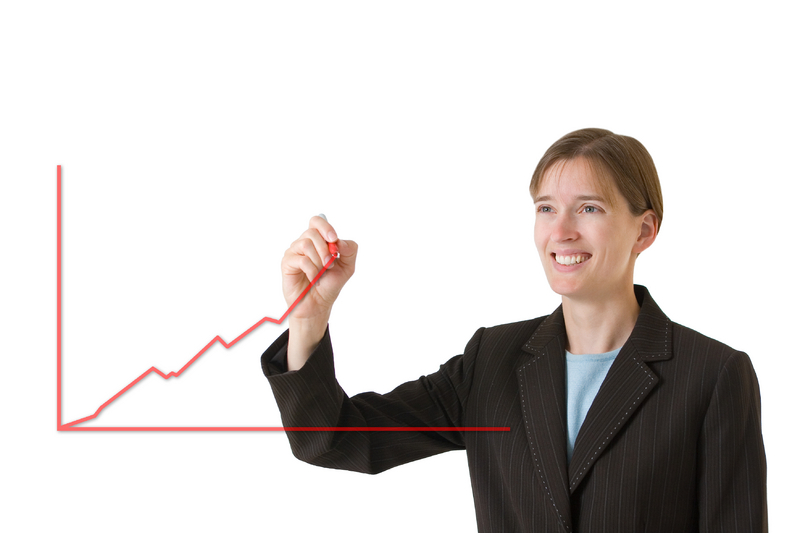 Key Performance Indicators (KPIs) and managing staff performance are popular management concepts. This article looks at their practical application and importance in providing a consistent quality service for your clients. In the Future Ready III whitepaper, the Business Health authors say: ‘The results for those businesses willing to invest in their people are quite astonishing – the firms that implemented an effective performance management system deliver (on average) almost three times more profit to the business owners than those who are not yet leveraging the full potential of their team.’ How well do you leverage that potential? Everyone likes to know what they are supposed to do and what outcomes they can expect for their efforts. Figures from the Business Health whitepaper show that those practices where more than half the staff had personal objectives were 76% more profitable than firms where fewer staff had individual KPIs. KPIs need to be specific, measurable, achievable, realistic, given a time frame and agreed with your staff. It’s important to write them down for future reference and review. Set expectations about consequences. What will you reward and how? For example, achieving KPIs may be worthy of one level of reward, and exceeding them will attract greater rewards. Also be clear about the consequences of poor performance. Monitor performance and adjust expectations if necessary. Consider, for example, if adequate resources and training have been provided to enable achievement of KPIs. Having a ‘no blame’ culture will encourage staff to learn from their mistakes, rather than try to hide them. If you are going to provide rewards and incentives, you need to be committed and consistent. How can you be sure staff will value the rewards you offer? Simply by asking what would be of value to them and ensuring you honour their individual preferences. For example, an afternoon tea celebration and public recognition might be relished by some people, while the attention would only embarrass others. You can use your imagination, and staff suggestions, to develop a reward program that will be motivating without breaking the bank. Whatever you do, remember that all the research indicates that the most important reward is your genuine appreciation. Saying ‘thank you’ and giving as much attention to your consistently strong performers as you do to managing poor performance can make the difference between keeping and losing your best employees. For truly outstanding results, provide guidance and feedback on an ongoing basis. Studies have shown that feedback and rewards are quickly forgotten by employees, so they need to be applied continuously and consistently. Michael Gerber, of E-Myth fame, recommends weekly individual employee development meetings (EDMs) between staff and their managers. The EDM gives both you and your employees an opportunity to re-establish priorities and provide feedback. Industry data, again from Business Health, shows that practices where staff performance reviews were held within six months of the survey date had profit levels 35% higher than those where performance reviews had not been conducted for more than 12 months. Regular reviews enhance performance that can be tracked to your bottom line. One final comment on performance management: In ‘Good to Great’, Jim Collins says ‘If you need to constantly manage people and their performance, you know you’ve got the wrong people on the bus’. If you suspect this is the case, it might be time to review your recruitment and selection processes (see previous article in this series) and/or seek some external assistance. If you have any comments, or questions, about these articles, I’d love to hear from you. Please email me or call on 1300 785 150. For more information about Balance at Work’s range of people management services, visit our website or subscribe to our newsletter for more practical tips. This entry was posted in Uncategorized and tagged clients, goals, management, performance, practice, team on May 12, 2009 by Susan Rochester. Mayor of Penrith, Jim Aitken OAM, celebrates 50 years as an entrepreneur this year. Jim’s first enterprise was selling papers, magazines and cigarettes from a window at Penrith railway station. Today his businesses include real estate, restaurants and gift shops and employ over 200 people. We asked Jim to share some of his people management experiences and insights. Thought is the original source of all wealth, all success, all material gain, all great discoveries and inventions and of all achievements. 1. What are the three most important things a manager needs to keep in mind when managing staff? Each person in the business at Jim Aitken & Partners has a sense of ownership. The acceptance of personal responsibility is what separates the superior person from the average person. Personal responsibility is the pre-eminent trait of leadership and the wellspring of high performance in every person and every situation. Accepting ownership of that part of the business in which personnel are engaged and accepting responsibility for the part of the business they “own” means that they take responsibility for their own results with absolutely no excuses. They are responsible partners in the business and the degree of responsibility accepted determines the degree of growth. For some staff, problems are overwhelming. Most problems in businesses can be solved and the best way to solve a problem is to share it immediately with the manager and that manager must evaluate it and share it with the rest of the organisation. This sets up a risk framework which allows any problem to be dealt with. We do not escape responsibility by attempting to pass it off on someone else. Having a problem and making excuses, or blaming someone else, weakens the staff member and weakens their resolve by turning control over to other people. They become passive and resigned rather than powerful and proactive. Instead of feeling on top of the world, they work as though the world is on top of them. This is a dead-end road which this company refuses to travel. The only sin about having a problem is the sin of not sharing it. Sharing and resolving are growth factors in any company. It has been thought for some time that the future belongs to the competent. In my view the future belongs to the omnicompetent. The future belongs to the people that are very good at what they do and who are getting better every single day. To earn more you must learn more. You must add more value. Staff must be developed to become better, to be developed to their highest competency and to make better and more important contributions. This is not a one sided view of management. When a business competes with like businesses, the consumer sees similar products and similar services. Why should a consumer choose my business? The answer must be because we have better people. We want people who can move from a selling mode to a management mode and the consumer to see the obvious difference in management skills. To give the consumer confidence that their affairs are in professional hands. In the hands of people with superior knowledge and skills. This is not only good for business but character developing for staff. When we become excellent at what we do, our lives change completely. Self-esteem, self respect and personal pride all increase dramatically. Staff feel good about themselves. They will be respected and admired by their clients. A key factor in management is to nurture this type of growth and personal development in staff. The rewards will be a growth in business. 2. What advice would you give someone about to employ their first staff member? It is a fact of life that the personality and characteristic of a person defines what work they will give themselves to with all their energy. Why are some people more successful and effective than others doing the same work? The most important point for any employer is to understand the future employee and determine from them at the interview what it is that they really want to achieve in their lives. Many employment programs have been heavily competency based. What is of the most benefit to an employer is the pleasant smile and the can-do frame of mind. Success in life is not just about ability or knowledge but about attitude. When looking at a prospective employee it should be remembered we can only study the past but we can design the future. If we are going to design the future of the company we may as well do it with attitude. 3. What do you know now that you wished you’d known earlier about people management? Management was always about corporate planning, strategic planning, implementation and feed-back. Today psychologists have discovered that the very act of observing behaviour tends to change that behaviour for the better. This is a breakthrough in understanding personal performance. This critical discovery contains the key to dramatically improving the quality of life and I wish I had realised this long before I did. Much earlier I would have closely monitored every action of staff and set specific measures and goals. We have Key Performance Indicators which point the way business is moving, but these KPIs are not called in for review at regular enough time frames. The upgrading of staff knowledge and skills must not be ad hoc. Monitoring results, goals and performances must be on a daily basis. In other words, appraisals are a daily fact of life. This, in effect, is monitoring areas of excellence. Without such monitoring it is easy for staff to fall into the trap of spending more time on the 80% in areas which are not productive to themselves or the company. By daily appraisals we focus of the 10 or 20% of the activities that account for 80 to 90% of successful results. We examine the tasks that that yield the highest returns and rewards relative to the cost and effort of performing those activities. Daily accountability and monitoring results is organising work life so that more and more higher value tasks are pursued. 4. What do you find most rewarding about your business achievements? The most rewarding aspect of my business is to know that it is achieving its purpose. The purpose creates the context for everything the business does. Everything it does should relate or contribute to the fulfilment of that purpose. To be most useful, a company’s purpose should describe the benefits that are delivered to the client when they use our product or service, rather than simply describe what the products and services are. My business does provide a quality of life for over 200 people and brings a return on investment. I believe value is based solely on our clients’ opinions and only our clients can tell us whether or not we have been successful. Profits are not the end in themselves. Instead they become a a measure of how successfully the company is fulfilling its ultimate purpose. It is a customer-focused company guided by a “What more can we do for them?” philosophy. The company develops a deep understanding of the daily experiences of the clients which in turn leads to new thinking which may better serve the client’s needs. 5. What other insights would you like to share with our readers? Commit to Excellence. Successful people are very good at what they do. Commit to excellence in your work and resolve to be part of the top 10% in your field. Have a very strong culture of people-building in the business. Build up your leaders from inside the company. People aspire to grow their businesses so rather than be title driven (seeking positions in the company) be business driven. Encourage staff to see themselves as self-employed. When staff accept responsibility for their business lives, they see begin to see themselves as self-employed. No matter who signs the pay cheque, they are in charge of their own business. They will see themselves as an entrepreneur even though it may be a company of one. They will see themselves as responsible for every element of their work, control, training, development, communication, productivity improvement and finances. Such staff will not make excuses. Instead, they will make progress. Would you like to share your business experience to help others? Please comment! If you would like to be interviewed for this series, or you would like to suggest someone we should talk to, please let us know. This entry was posted in Uncategorized and tagged business, management, people, practice, work on May 1, 2009 by Susan Rochester. How profitable are your people management practices? You already understand the importance of excellent practice management in helping you deliver on your client value proposition. When you look at businesses that really shine, regardless of their size, age, market or niche, their success can always be traced back to having exceptional employees. Attracting and retaining exceptional employees – the best talent – is only sustainable with exceptional employment practices. Data linking people management practices to financial returns was published in the Future Ready III whitepaper by Business Health in April 2007. In their data analysis of over 1000 advisory practices in Australia, they found that those with effective people management practices (majority of staff have job descriptions, individual objectives, regular reviews and awareness of the high level business goals) had profits 159% higher than those with ineffective people management practices. The simple practice of having job descriptions for your staff can have a dramatic effect on profits. Practices with job descriptions for more than half of their employees were found to have profit levels at 125% above those with fewer staff with job descriptions. This is equivalent to an extra $101,096 profit per principal. A detailed organisational structure with clear roles, responsibilities and reporting lines will form the basis of job descriptions. The time invested will be repaid many times over when everyone knows what they’re doing and why. If you already have job descriptions in place, ensure you keep them up to date and relevant by consulting the current incumbents. When you build on the job description with personal objectives (KPIs) and a structured performance management process, you are developing systems that have been shown to have a positive impact on business financial performance, according to the Business Health whitepaper. This entry was posted in Uncategorized and tagged business, management, people, practice, work on April 25, 2009 by Susan Rochester. Short of time? Worried about money? Lacking energy? If you’re a successful financial adviser, it’s because you love your clients and excel at explaining complex issues in simple terms. Doing these things gives you energy and brings in the dollars. To really prosper, you need to spend as much time as possible on these tasks. This blog will help you do that by sharing articles, videos, checklists and practical advice on managing your staff. Visit whenever you need some relief from people management headaches. This entry was posted in Uncategorized and tagged business, management, people, work on April 13, 2009 by Susan Rochester.